Let’s face it—not everyone is cut out for a rigid, 9-5 work schedule. And you know what? There’s absolutely nothing wrong with that. If you’re caring for children, caretaking a parent or relative, managing a chronic health condition, or dealing with any other totally reasonable situation that makes it hard to show up to an office every day, there’s no reason for you to be excluded from the paid workforce. But how do you find paid work that’s flexible enough to fit with all your other very real life demands? The answer is pretty simple: remote work. Things get a bit murkier though when it comes to asking how to find remote jobs online and how to start remote careers. Remote work IS the future, but not all employers are there yet. Still, even though (for now) it’s easier to get a job sitting behind a desk in someone else’s office, that doesn’t mean getting paid to do work from your own living room is impossible. 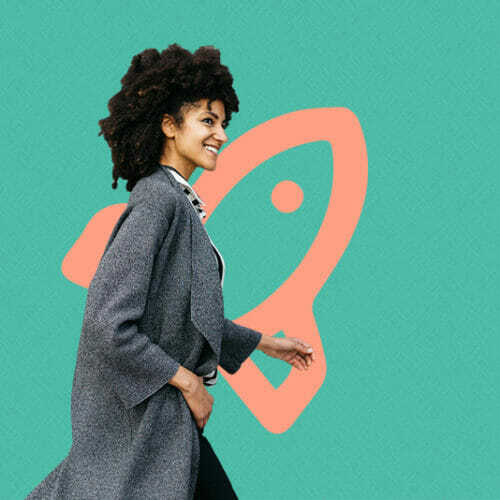 In order to show you just HOW possible remote work really is (and some of the actionable steps it takes to start a remote career), we’ve put together this no B.S. guide that will walk you through everything you need to know about remote work. . .and then some! If it seems like a lot of information to digest at once, don’t sweat it. 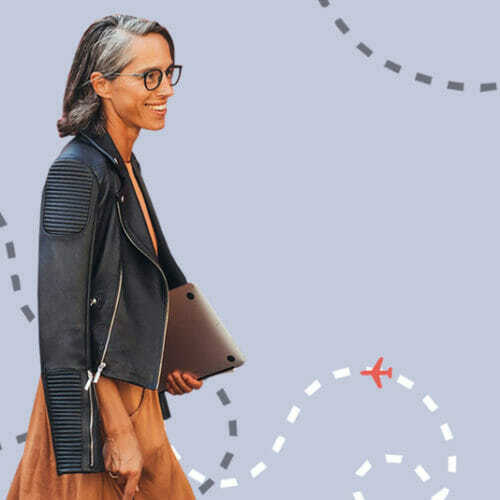 Bookmark this page and come back as often as you need to while you find your way into the remote workforce. And if you’d like to take some of this crucial info with you, be sure to download our free PDF Guide to Finding a Remote Job You Love from the top or bottom of this page. Chapter 3: How Much Does Remote Work Pay? Chapter 1: What is Remote Work? Let’s Get to the Bottom of the Term. When people talk about remote work, they’re simply describing jobs that can be done from anywhere in the world with access to a computer and reasonable internet access (reasonable in terms of speed and connection stability). So whether you’re working from a home office, your living room, a coffee shop, the beach, or anywhere else not in physical proximity of your coworkers, clients, or employer, you’re working remotely. Again, if you have responsibilities or obligations that keep you tethered to your home or any location other than a company office, you can see why being able to work remotely is such a valuable benefit. So What About Telecommuting Jobs, Flexible Schedules, and Work From Home Jobs? While remote work is an umbrella term for any kind of work done away from a central office, the terms “telecommuting jobs” “flexible schedules,” and “work from home jobs” describe three specific variations on remote work. Telecommuting is a pretty dated term at this point, though you’ll still find it kicking around. A telecommuter is someone who works some or all of her hours from home, but in the same geographic area as the company. In other words, a telecommuter doesn’t show up at the office every day, but they do live in the same city or county as their employer. Remote jobs that bill themselves as “telecommuting” positions might not be the best fit for you if you’re hoping to work for a U.S. based company from the Bahamas, but if you’re willing to work remotely for a company near you it’s worth keeping on eye on these listings. Jobs with flexible schedules (also referred to as “flex jobs”) are positions that allow employees more freedom regarding when and how much they work, allowing them to prioritize other needs and responsibilities. If you’re working from your home, there’s no question that you’re working remotely. But working remotely doesn’t mean you HAVE to work from home (even though you totally can). In the early days of remote work, the prospect of working remotely was often seen as a black and white choice between remote jobs from home (literally working from your house) and working at your employer’s office. However in the years since, coworking spaces, wifi enabled coffee shops, and other connected public areas now give remote workers all kinds of options for places to get stuff done. So if someone advertises work from home jobs, there’s nothing saying you literally have to do that work from home. But, if typing away at the kitchen island in your pajamas appeals to you (as it certainly does to me), you can feel free to do that, too. Sure, remote work sounds great. . .in theory. But do remote jobs really exist? And do they include roles outside of low wage call center and telemarketing gigs? Remote work can be just as personally rewarding and financially lucrative in practice as it seems in theory. So what do these premium remote jobs online look like? Since remote work is ultimately made possible through internet and computer technology, it’s not a surprise that many of remote work’s best and most flexible options come by way of the tech industry. But if tech sounds way outside your wheelhouse, don’t panic! There are more paths to tech than you might think. Web Developers (sometimes called Front End Developers) are what probably come to mind for a lot of people when they think of tech jobs—these are computer programmers who take the plans and layouts provided by web designers (see below) and use coding languages to turn those plans into live, functioning websites and applications. While web developers are one of the more traditionally “techy” roles in the industry, don’t count this role out as an option even if you’re brand new to computers and coding. Web development may sound like the domain of computer science doctorates and innate math geniuses, but coding actually has a lot more to do with problem solving, tenacity, and research skills. If you’re ready to start learning the skills it takes to work in web development, look no further than Skillcrush’s Web Developer and Front End Developer Blueprint courses—online classes designed to be completed in three months by spending an hour a day on materials. In order for the web developers above to build those functional websites, they need to have a design in mind to build from. And that’s where web designers come in. Web Designers are creative, digital professionals tasked with crafting the overall vision and plan for websites and web applications. Unlike developers who use code to bring a website to life, designers inform that code by prescribing a site’s layout, color palette, font sent, and visual themes. If you already have a background in traditional print or visual design, or you are a generally creative person and the idea of getting paid to do creatively fulfilling work (remotely!) appeals to you, web design might be a perfect fit. Ready to learn more about web design and the skills you’ll need to start designing websites from home? Check out our Skillcrush Web Designer Blueprint—an online class that can be completed in just three months, spending only an hour a day on materials. User Experience (UX) is a tech field that involves researching groups of people who use digital products (like websites and apps) and using the findings to literally improve users’ experiences with those products—the way a product makes the user feel while they use its features, how easy the product is to use, and how appealing users find the product overall. People who work in UX are generally referred to as UX designers, but the role isn’t a traditional design job. UX designers compile product research through user testing, forumate product improvements based that research, and work with development teams to implement those improvements in product iterations. UX can be a particularly appealing career for critical thinkers, problem solvers, and active listeners. You can learn more about what it takes to become a remote UX designer from our Skillcrush UX Design Blueprint—an online course that takes three months to complete by spending just an hour a day on the materials. What exactly is digital marketing, you ask? It’s not that different from traditional marketing (identifying a target audience’s needs and connecting them to products and services that fill those needs), except. . .it’s digital? Which means that digital marketing is marketing specific to products and services sold online. If you’re ready to break into a remote career as a Digital Marketer, take a look at our Skillcrush Digital Marketing Blueprint—a three month, online program that you can complete by spending just an hour a day on the materials. 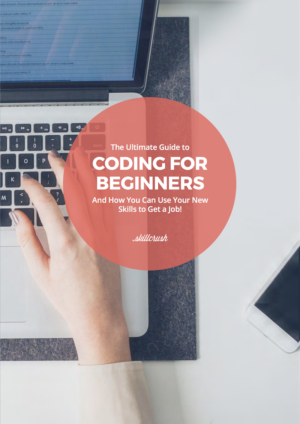 And if you want a free, general primer on tech skills as you decide which remote path is right for you, sign up for our Free 10 Day Bootcamp, an online course that will walk you through tech basics in just five minutes a day. Do I Need to be Good at Math to Code? OK, so there’s no arguing that remote work is an amazing, flexible solution if you’re looking for a job that fits the rest of your life—but how much does it pay? According to Indeed.com, the average entry-level front end web developer makes $61,512 a year working full-time in the United States, while senior front end developers (3+ years of experience) average a yearly salary of $108,409. While front end development is the most common entry point into remote development work, back end development involves using languages like PHP, SQL, and Python to work on the “under the hood” parts of websites (implementing and managing systems that request data from a site’s web server, which then appears as HTML output on a user’s screen). Indeed lists average back end developer salaries at $127,407 per year. For more detail on the nuances of web developer salaries, read our Salary Series article here. According to Indeed.com, the average entry-level web designer rate per hour is $22.62, averaging out to a yearly salary of $42,934. Sure, there are other tech roles that pay more, but—for someone with a background in traditional print or graphic design—a jump to web design can be a pretty smooth transition. And web design jobs are plentiful, with Indeed.com listing over 15,000 positions as of this writing. For more a closer look at web designer salaries, read our Salary Series article here. According to Alison Sullivan, Career Trends Expert at jobs and recruiting site Glassdoor, Glassdoor cites an average base salary of $107,880 for UX designers and an average base salary of $86,883 for UI designers. 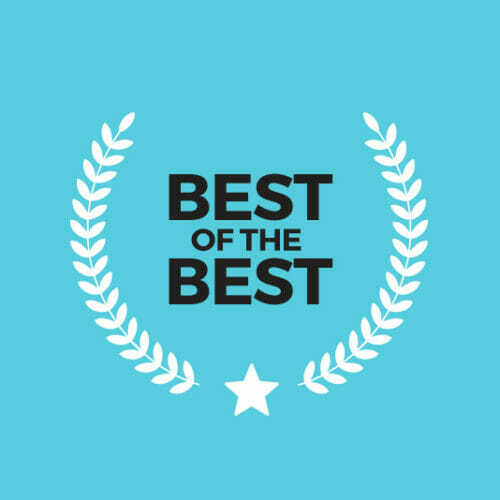 In addition to the money, Sullivan adds that UX design jobs ranked #27 out of 50 among Glassdoor’s recent Best Jobs in America report, a claim that’s reflected by Glassdoor’s own job listings. As of this writing, Glassdoor has over 5,000 UX designer jobs posted on its site, and nearly 5,000 UI designer openings. As of this writing, Indeed lists general digital marketing jobs as paying an average salary of $40,363 for junior positions and $63,502 for mid-level roles. And as far as demand? Market analysis by Burning Glass Technologies reports that 174,141 digital marketing-related jobs were posted in 2016, accounting for 39 percent of 443,440 overall marketing jobs and providing a 30 percent increase from 2011’s digital marketing job stats. Like web design, digital marketing may not pay as much as roles like web development or UX design right out of the gate, but the combination of remote flexibility and job growth makes it a solid entry point into remote tech work. Flexible schedules? Check. Different job options based on your personal abilities and interests? Another check. High starting pay? Also check. So what are you waiting for? It’s time to start working remotely! Oh yeah. . .you have to actually FIND these jobs. No worries! We’re not going to leave you hanging. Landing dream entry level remote jobs can sound like a tall order, but when you start looking closer it’s a lot more achievable than you might think. Of course when you’re looking for the best remote jobs online, job boards are one of the first places to check. And while you should be keeping an eye on general job sites like Indeed and Glassdoor, when it comes to remote work you can save yourself some time (and possibly find some hidden gems) by checking out remote-specific job boards. FlexJobs has over 50 remote jobs categories, with positions ranging from freelance gigs, to part-time work, to full-time jobs, with remote careers varying from entry-level to executive. The best part? FlexJobs screens their jobs before posting, so you don’t have to dig through any less than reputable opportunities. The site currently hosts more than 20,000 work-at-home and digital nomad job postings. With a simple, straightforward layout, this job board is a catch-all of remote, work from home jobs from customer service, to web design, to programming. Living up to their stated goal of ”finding the most qualified people in the most unexpected place,” the We Work Remotely site connects over 130,000 monthly users with telecommuting opportunities. It’s your ticket to remote employment in no time. 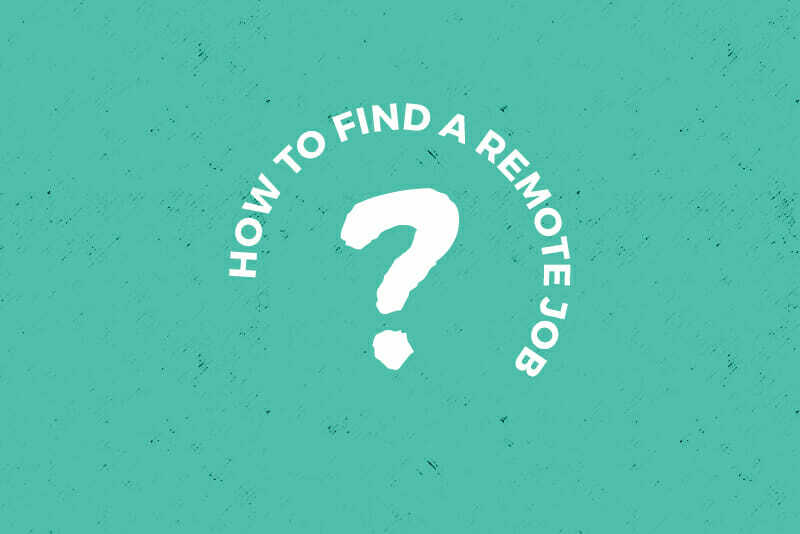 Remote.co hand-curates their list of remote jobs. These listings include customer service positions, design opportunities, developer jobs, recruiter and HR roles, sales jobs, and other remote work (including writers, managers, and marketers). The Remote.co site also has the handy feature of allowing you to search or browse by job type. Kit got three solid interviews for positions off this board during her own job search, so it’s definitely legitimate. It’s especially targeted at web developers, designers, and marketers. These top five sites just scratch the surface of remote job listing resources. You can check out more remote job boards on our list here, and a list of general flexible jobs sites (including remote work) here. But just trolling job sites isn’t enough. There are some other basic, proactive preparations you should make en route to finding that perfect remote opportunity. Here’s a list of five easy steps toward making sure you’re in the best position to land that remote job. A big frustration when looking for remote work is that so many remote positions seem to ask for previous experience in the field. Not the most heartening thing when you’re on the outside looking in! But don’t panic—the whole experience thing is NOT a dealbreaker. First, a few words of advice: don’t let a requirement like “2-3 years of experience in the field” stop you from applying for a job. If you can prove you’re the right personality for the team and a proactive learner (like, say, you taught yourself web design in your free time via a Skillcrush course online), those requirements may not be so required after all. But, in order to make sure you have a body of work to backup your experience argument, it’s a good idea to start doing mock projects in your field of choice as a way of showing remote employers what you can do. If you’re interested in web development, make sure you’re creating sample code and posting it on sites like Codepen. If web design or UX is your jam, don’t be shy about doing some sample brand redesigns for real or imaginary products. If you’re knocking on the door of digital marketing, be sure you’re running your own personal brand website and using all of your content and SEO tricks and strategies so you can show employers and clients how you’ve been driving and converting traffic. This article on how to create a web design portfolio with mock projects can be applied to any of the remote-friendly tech jobs we’ve outlined so far. While trolling job listings and compiling a stellar portfolio are critical parts of a remote job search, sometimes opportunities have a way of presenting themselves when you’re not even looking. That’s exactly how I found my own remote job here at Skillcrush, and so—since you never know when you’ll end up face-to-face with the person who can hook you up with that dream remote job—you NEED to have something to say when and if the time comes! If you could use a little help explaining who you are, what sets you apart, and why (despite maybe not having the most on-paper experience) you’re the person to help solve a company’s problems (by way if Google Hangouts and Slack! ), go ahead and download our guide to writing the perfect personal pitch. Working remotely might seem like the cutting edge of work (and it is!) but even when you’re so vanguard it hurts, some things stay the same—namely the fact that you’re going to need a quality cover letter and resume for your job search. Because you’re new to remote work, it’s critical to write a custom cover letter when applying for jobs. Take the time to research the company or client you’re applying with (more on this below), notice any trends in their projects or even problem areas (what could they be doing more of? ), and make sure to include those observations in your letter. You can even mention a personal experience you’ve had with the company, too. The more original, the better. Finally, when it comes to your resume, it needs to live up to the same high standards as if you were signing up to spend the rest of your life at an office. The good news is, there are plenty of free resume templates that will hit that standard for you, giving you one less thing to spend your creative energy on. Check out our list of free creative resume templates for 2019 here. And here’s an article on some of the skills you should highlight on a remote-specific resume. While it’s easy to fixate on some of the bigger and flashier sounding skills related to different remote jobs (coding languages, web design principles, UX testing methodologies, SEO, etc. ), don’t overlook some of the day-to-day mechanics that are associated with remote work. One of the big ones is getting used to being on video chat with clients and coworkers via apps like Google Meet and Zoom. Interacting remotely is a whole different animal than in-person, and you’ll put yourself in a good position to find a remote job (and excel once you get there) if you’re comfortable with interacting online. Go ahead and spend some time video chatting with friends or family as your guinea pigs. Get to know the ins and outs of the chat platform your potential employer uses in order to avoid technical gaffes during the interview process. Pro tip: one of the first things you should do is find the option on your platform of choice that allows you to screen share select browser windows instead of your entire desktop. You don’t necessarily need to share your entire personal computing life with everyone on the call. Before I started working remotely, I always thought there had to be a catch—you can’t really make good money working for a reputable company from your living room, right?? Of course you totally can, but not without some caveats. While quality entry level remote jobs abound, you still need to keep an eye out for scams and opportunities that sell themselves as the dream but aren’t all that. Unlike an in-person job where you can visit the office and get an idea of what’s really going on, the remote workplace is virtual and—until you get hands on—it’s hard to get a clear picture of what the company and working conditions are really like. Still, it’s not impossible to get a handle on a job before you start (and to ID straight up fraudulent offers from the jump). In addition to the tips mentioned above, another way to build up a demonstrable body of remote work is to bypass a traditional job search entirely. “But getting a job is the whole point!” you say. We hear you, and we’re not talking about giving up on remote work. We’re suggesting you consider a freelancing as an entry point for breaking in. In the same way that jobs like web development, web design, UX design, and digital marketing are perfectly suited to do remotely, they’re also ideal candidates to do as a freelancer or as a side hustle. Yes, you can be a web developer or designer, UX pro, or content marketing specialist full time for a single company, but these are all positions where specialists and consultants are hired by clients on a freelance basis. Freelancing also gives you the freedom (pun sort of intended) to ease into remote work as your skill and experience level builds. 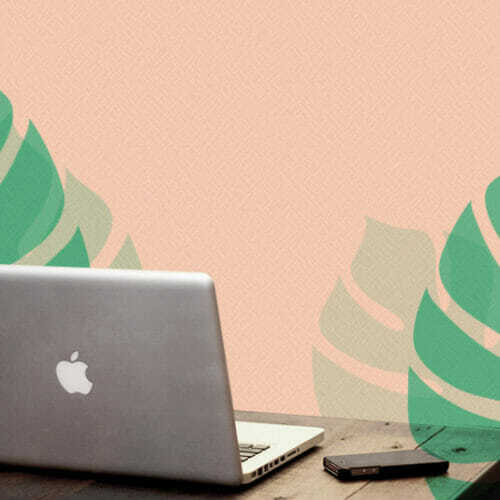 While you might not be qualified to apply for a full team job only knowing basic skills like HTML and CSS, those skills alone will let you start doing paid freelance work for clients. Freelance jobs will help you improve your skills and give you experience you can add to your resume when and if the time comes to apply for full time positions. Check our list of bonus reads below to learn what it takes to start freelancing remotely. As great as remote work sounds, it’s only natural to have some apprehension. Particularly if you’ve worked outside of the home before, working on your own away from a central office can seem like a lonely proposition. And if you’re literally working from your home, how is it possible to balance domestic responsibilities with your paid work? These are questions everyone asks before making the transition to remote work, and they are real challenges those of us who work remotely continue to face once we start. Kit Warchol’s article on What is Remote Work? does a great job of breaking down some of the pros and cons so you can decide if the transition is right for you. And, in order to dispel some of the myths about remote work (and address the realities), we’ve put together an additional reading list for you below. Congratulations—you made it through this beast of a guide! Which means you’re probably serious about expanding your work horizons and doing what it takes to start a remote career. Interest and commitment is a big step, but now it’s time to take the next one: consider signing up for one of our three month Blueprint courses today, and you’ll be well on your way to a high paying, flexible career in the remote field of your choice. And—if you want to maximize your remote options and become a remote working jack of all trades—consider our Break Into Tech Blueprint. Break into Tech is a three-phase course that includes lifetime access to 15 fun and interactive classes in technical skills and career development, regular 1-on-1 career counseling sessions to keep you informed and inspired, and the most supportive learning community you’ll find anywhere in the world. 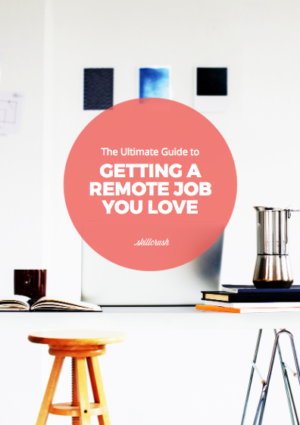 Finally, don’t forget to download our free PDF Guide to Finding a Remote Job You Love below, and keep it handy as a reference for all things remote. Freelance is my personal rescue. I`m an artist and it’s really hard for me work under the schedule and in a certain place. Fortunately, there are people who prefer remote collaboration and dozens of specialized websites for work. For example Beesy.pro and Upwork.